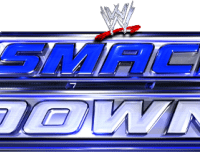 The 765th edition of WWE Friday Night SmackDown came to you from the Bridgestone Arena in Nashville, TN. For the first time since bringing back the super group known as Evolution to destroy The Shield, WWE COO Triple H would kick off SmackDown as “The Game” will look for The Shield to answer his ultimatum laid out during his exclusive WWE.com interview with Michael Cole this past Wednesday night. Speaking of Evolution and the events of Monday night, one of the men responsible for the reformation of Evolution, as well as the destruction of The Shield, was Batista and “The Animal” would be in action on SmackDown as Batista goes one-on-one with the man he assaulted with a steel chair several weeks ago, “The Celtic Warrior” Sheamus. As he closely keeps an eye on the tournament to name a new #1 Contender for his Intercontinental Title, Big E would compete on SmackDown as the Intercontinental Champion would go one-on-one with Alberto Del Rio in a non-title match. Another champion who would be in action on SmackDown would be new Divas Champion Paige, who would square off with Aksana in a non-title match. Non-Title: Big E def. Alberto Del Rio by DQ after Alberto Del Rio ignores the referee’s five-count. Non-Title: Paige def. Aksana by submission to the Scorpion Crosslock. El Torito (with Los Matadores) def. Hornswoggle (with Jinder Mahal & Drew McIntyre) by pin following a top-rope moonsault. Alexander Rusev (with Lana) def. R-Truth (with Xavier Woods) by submission to the Accolade. Santino Marella (with Emma) def. Fandango (with Layla) by sunset flip roll-up. Batista def. Sheamus by pin following the Batista Bomb. After leading the reformation of Evolution to destroy The Shield on RAW alongside Batista & Randy Orton, SmackDown kicks off with WWE COO Triple H. Triple H says that nothing makes him more “proud” than seeing guys succeed, saying that Dean Ambrose, Seth Rollins, & Roman Reigns are three of the most talented guys that he has seen in years. The COO continues, saying he gave The Shield “power”, but they eventually pushed their power too far, saying that, two weeks ago, The Shield “crossed the line” and they “paid the price” on RAW. After showing the events of RAW, Triple H says that The Shield found “humility” and, in his interview on WWE.com Wednesday, he said that he would be willing to forget this whole thing if The Shield would just apologize to him. The COO says that he heard nothing from The Shield except for Roman Reigns, who sent him a message, telling him that “kings don’t win wars, soldiers do”. Triple H says that, in reality, soldiers are simply the “currency” on which empires are “bought and sold” and The Shield’s “value” is gone. Triple H then announces that, at Extreme Rules, The Shield will step into the ring with the most dominant group in WWE history, Evolution, as Evolution will return to show The Shield what “true power” really is! Triple H then says that, in life, you either “adapt” or you “perish” and that is “evolution”. Two weeks before he defends the Intercontinental Title at Extreme Rules against the winner of the #1 Contender’s tournament, the Intercontinental Champion was in action on SmackDown as Big E went one-on-one with Alberto Del Rio in a non-title match. In the end, it was Alberto Del Rio costing himself the match as Del Rio would lock in the Cross Armbreaker on Big E, but the Intercontinental Champion would get the ropes and Del Rio would ignore the referee’s five-count, resulting in the disqualification. After the match, Del Rio would look to finish the assault on Big E, but the Intercontinental Champion would battle back, hitting the Big Ending on Del Rio. The advocate of “The King of Swing” Cesaro and “The Beast” Brock Lesnar, Paul Heyman, then appears on SmackDown. Heyman reminds everyone that he was the mastermind behind the end of The Undertaker’s legendary streak at WrestleMania two weeks ago. Heyman then repeatedly tells the crowd that his client, Brock Lesnar, “conquered the streak”. After telling the crowd around a dozen times that his client conquered the streak, Heyman then says that he wants to tell them something “personal” before saying one more time that his client, Brock Lesnar, conquered the streak. Heyman then leaves the ring, pleased with reminding everyone about his client’s epic feat. The new Divas Champion would then make her SmackDown debut as Paige would go one-on-one with Aksana in a non-title match. Aksana would dominate the Divas Champion early on, but Paige would weather the storm before locking in the Scorpion Crosslock on Aksana, forcing the Lithuanian Diva to tap out, picking up the win. Then it was time for a unique matchup as Los Matadores’ mascot, El Torito, with Los Matadores in his corner, would go one-on-one with the new mascot for 3MB, Hornswoggle, with Jinder Mahal & Drew McIntyre in his corner. At the end of a bizarre match, it was El Torito hitting a top-rope moonsault on Hornswoggle, pinning Hornswoggle for the win. “The Bulgarian Brute” was in action on SmackDown as “The Super Athlete” Alexander Rusev, with “The Ravishing Russian” Lana in his corner, would face the man he attacked on RAW, R-Truth, with Xavier Woods in his corner. In the end, it was Alexander Rusev making the veteran tap out to the Accolade. After the match, Xavier Woods would try to come to the aid of R-Truth, but Rusev would attack Xavier, crushing Xavier in the corner, tossing all of his weight at the young Superstar. With Layla in his corner, Fandango would go one-on-one with Santino Marella, with Emma in his corner, on SmackDown. In the end, it was Santino Marella catching Fandango with a sunset flip, pinning Fandango for the win. Then it was time for the main event as “The Animal” of the newly reformed Evolution, Batista, would go one-on-one with one of the four potential #1 Contenders for the Intercontinental Title, “The Celtic Warrior” Sheamus. At the end of a hard-hitting match, it was Batista planting Sheamus with the Batista Bomb, pinning Sheamus for the win.